Hi, there. 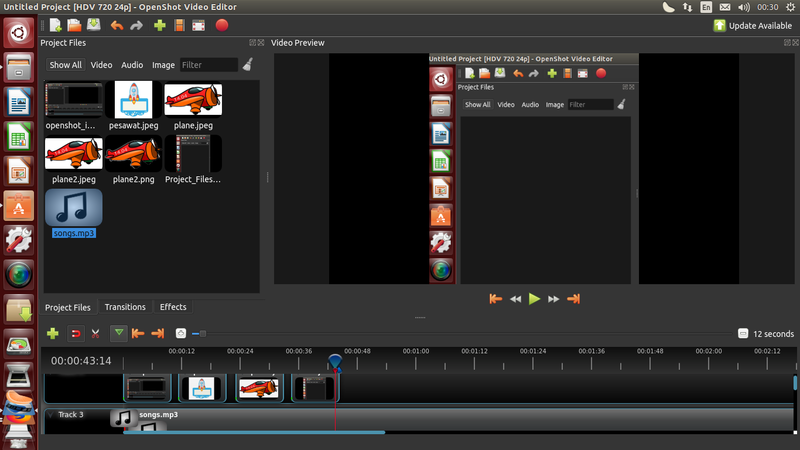 Today I am gonna show you how to use openshot. 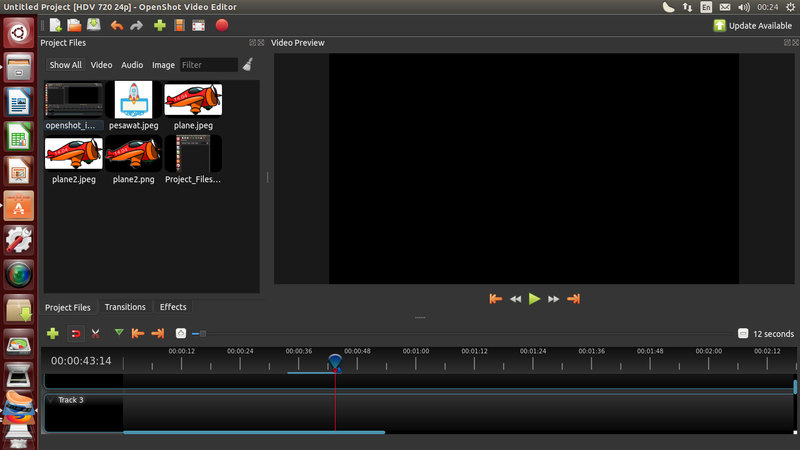 This openshot tutorial is use for Beginner or Profesional Level which connected something with audio and video. I think Openshot is software that easy and simple to use, and this openshot tutorial will explain and guide through the basics in under 5 minutes or may be less then 5 minutes. 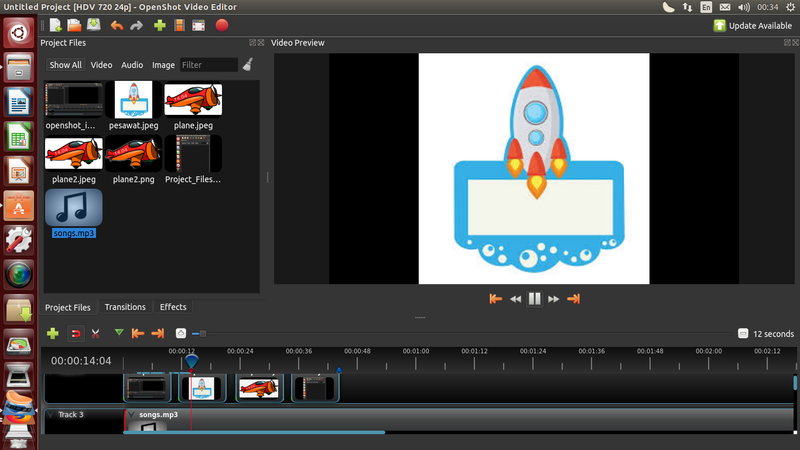 After you memorize this openshot tutorial, you will be able to create a simple photo slide-show with music. 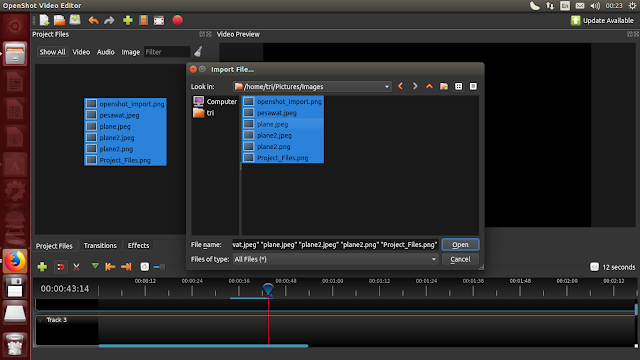 Before you start to begin video Project, make sure that you have been import several files types into openshot. The simple way is by dragging and drop several images (*.JPG, *.PNG, *.TIFF, *.BMP etc...) and an Audio file (most formats is support on it) from your Computer or Laptop to Openshot project files. Be sure that you drop the files where the arrow icon in the illustration is directing to. After done with First Step then, put image that have been drag into Timeline (see on the picture below). Your video project will describe on the timeline, so manage your picture order according by your self . And more attractive with this software is, when there more than one clips, OpenShot have ability to create a finer fade between them in automatically, for example is displayed by blue rounded rectangles between the clips. Memorize, You can reorganize the clips as many times as you needed by simply dragging and dropping them on it. After Second Step pass then next step is to add audio on openshot. To create video from several picture that will become more attractive, So you need to add several audio as background on the video project. To add an audio, you must drag audio file on Timeline. Just right click on the audio file, and drag it onto the timeline. When you facing with audio that have long duration, then grab the right edge of your audio clip, and reduce it to get more short duration. Then for the Fourth step is Previewing. To see what your video looks and audio sounds like, try click the Play button under the preview window. On Preview tool, You can use pause to stop temporary, to get roll back you can use rewind, and fast-forward your video project by clicking the corresponding buttons. After you have seen several step above, now you should be have basic knowledge about how OpenShot works. Importing, Arranging, Previewing, and Exporting. Hopefully this openshot tutorial will give you create awesome video. And thank you for reading this tutorial. 23 Responses to "OPENSHOT TUTORIAL FOR BEGINNER"
Personally, I am a Premier user and for some earier things, I use Camtasia. 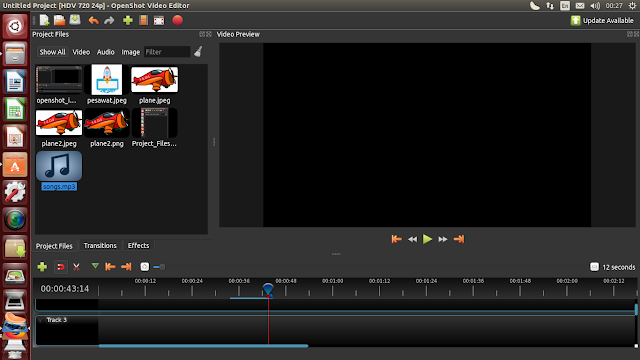 In the past (a long time ago) I was happy with the results I got from iMovie on the Mac. Never heard of openshot but it looks like a great program! I have never used OpenShot before. Your tutorial makes it look so easy and I would love to give it a shot. Loved the detailed instructions and tips. I am sooo keeping this article saved in my favorites. I am so ignorant when it comes to video. I am a VA so I Was hoping to add this to my services one day. 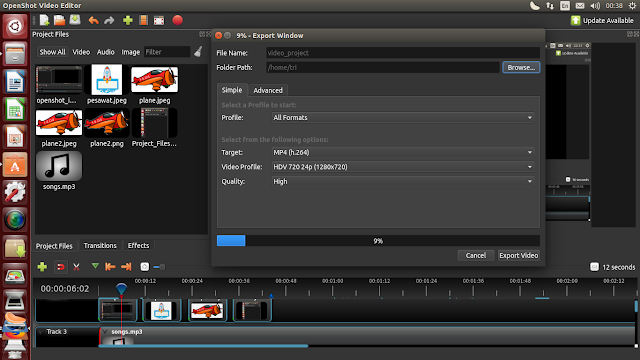 I'm a Adobe Premier user but glad to know about OpenShot! Your have wonderfully curated this tutorial and made it look so simple! I've never heard of this software but I've been looking to add music to my photos. I'm just not very tech savvy. These instructions and pictures are helpfuk. So fun to see new softwares rolling out! I love video editing and creating slideshow of my daughter's photos. Glad to know this information. Thank you for this sharing. wow thanks. Never knew there was anything like openshot. Thanks for letting me know. I'll definitely try it out. An affiliate mentioned open shot to me the other day and uses it for his website. Glad to see this tutorial! What an excellent tutorial for beginners! I tend to be very technology challenged and love a simple, straight forward learning guide. Thank you so much for sharing these tips and tricks about Openshot. Learned a lot about how to do it. Wow, you make it look easy to use that Openshot. I will definitely check this out! I didn't know what Openshot was but this looks like a great program! Thank you for sharing and teaching. This is great advise. My parents struggle a lot with technology so I am definitely going to forward this on to them. saving this blog in my favorites, so much informative and helpful. I don’t have any experience with OpenShot. This was a great introduction! Thank you very much for sharing this, I've been looking for openshot tutorial. You make my work easier. I've not used this software till date but thanks for sharing all the information here along with all the steps. This openshot software is cool. I'd love to show my kids so they can create things in our homeschool classroom. Your tutorial made it seem so simple. This is such a great and thorough guide for learning Openshot. Really helpful and informative. Thanks for sharing.